Some men choose to run marathons. Others a triathlon. But for those that want to push themselves both physically and mentally and all for a good cause choose to run a Tough Mudder event. Tough Mudder is a 10-12 mile obstacle course designed for teams. They test physical strength and endurance and are completely un-timed. The entire goal is not to see how fast you can complete the course, but to finish and leave no one behind. Tough Mudder events are held year round and can be found all over the country. Over the past 5 years, they have hosted over 150 events with over 2 million participants. Tough Mudder is all about team work, so preparing for the event starts with getting your squad together. Once you have done that, you just have to start training. Since it is not a race, you don’t have to worry about running mile after mile. Instead, its all about endurance. You don’t have to be an elite athlete to do the event; hitting the gym a couple times a week and taking a few strolls around the neighborhood should be more than enough to get you ready. Again, this event is all about mental toughness, not how much you can bench or how fast you can run a 5k. Sign up is simple. 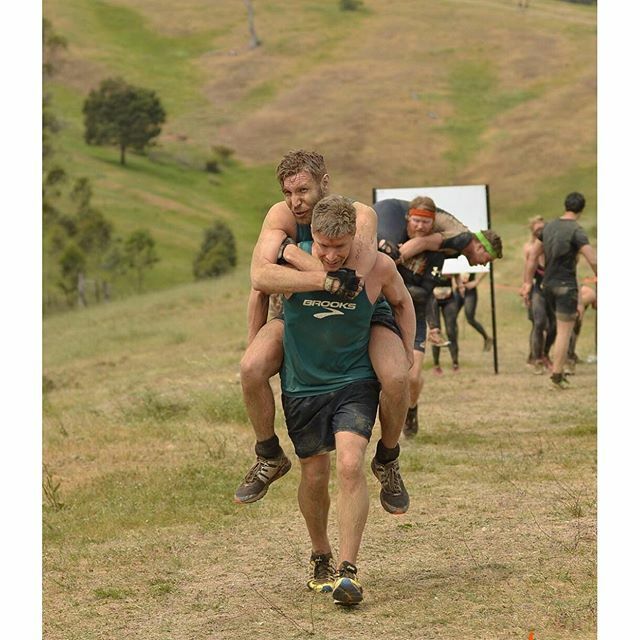 Just go to Tough Mudder website, find an event close to you and sign up. It can be a little pricey (around 100-200 bucks per person), but a lot of this money goes to charities like the Wounded Warrior Project.